Know the risks in any backcountry scenario and question your plans with careful consideration. Words hardly describe the excitement surrounding a day in the winter backcountry. Embarking on such a journey demands respect and responsibility from the traveler to understand the inherent dangers of traveling in avalanche terrain. The first part of obligation to you, your skiing companions, other skiers in the area, and your loved ones is education. The plethora of avalanche education out there gives you absolutely no excuse for ignorance. As yourself these simple questions before heading out for a day in the backcountry. It might save your life. Did you tell someone where you're going , and when you'll be back? Is it the right one for today’s conditions? Part of answering this question is checking the daily avalanche report at JH Avalanche. Where are you going? How do plan on getting there? Have you been there before? Unfamiliar sites add an additional factor of danger. Have you written down your route plan and left it with someone you trust? It’s important someone knows where you are going and when you’ll be back, so incase of emergency they can accurately direct search and rescue. Are you equipped with the correct gear and tools? Warm synthetic layers. No cotton! Always carry extra layers just incase things don’t go as planned. Communication devices. Cell phones reception isn’t reliable in the backcountry, but a personal locator beacon works anywhere. Do you have the skill set to read the changing snow conditions in the field? Are you with someone that can evaluate the snow? Have you practiced your avalanche rescue technique recently? Do you know how to use your gear? Otherwise, why bring it at all? Do you know the weather forecast? Any storm systems predicted? Travelling in a large group? With dogs? 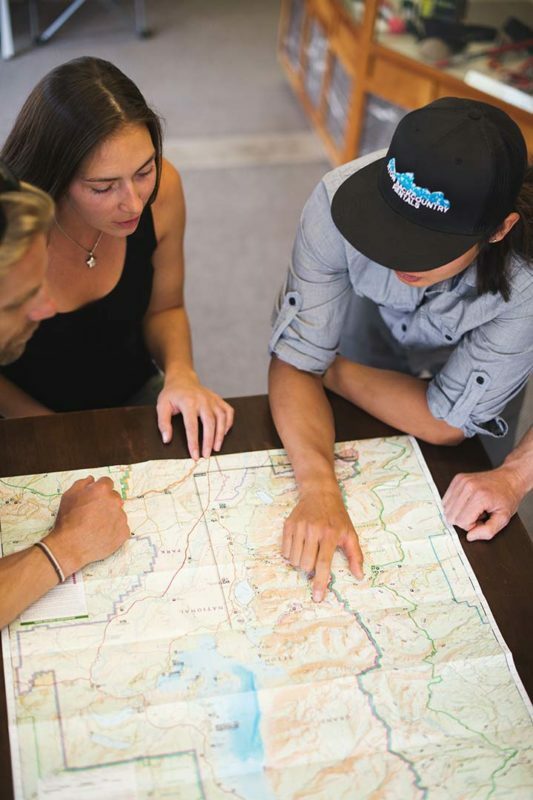 Sometimes group dynamics can negatively affect even the most educated backcountry travellers. Be aware of this! Traveling with strangers or people that are not familiar to avalanche travel? Do these people have attitudes that can sway group decisions negatively? Is the location difficult to access if emergency response is required? Always tell someone where you are going and when you’ll be back. If you don’t show up when planned, this person can go for help.